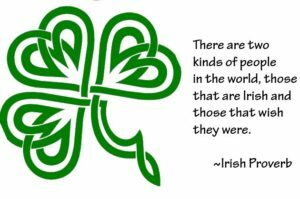 Note: this is the third installment in my own version of #52ancestors where geneabloggers have been asked to write about a different ancestor every week for a year. To understand the concept, read my blog entry from January 19, 2014. NOTE: THIS POST WAS EDITED MARCH 8, 2016. 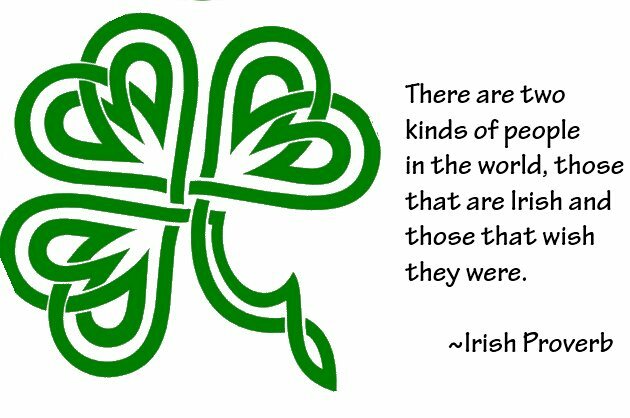 You often hear around St. Patrick’s Day that everyone has a little bit of the Irish in them. 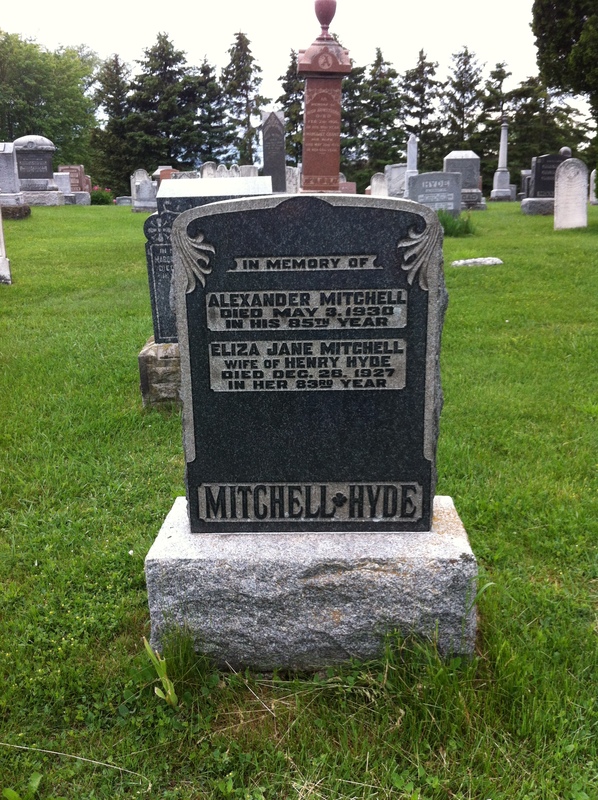 For me, I can prove it and felt it was only fitting to chose for the month of March on my 12 Months, 12 Ancestors project my 2x great grandmother Eliza Jane Mitchell, wife of Henry Hyde, and the one who packed up her two little boys and sailed across the pond to come to Canada. 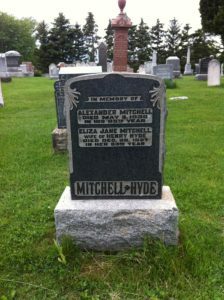 It was pretty easy to connect the dots to find Eliza Jane as she and my grandfather are all buried in the same cemetery outside Kirkwall Presbyterian Church, a small country parish currently located in Flamborough Township and ultimately party of Hamilton, Ontario. Thanks to some information I was able to pull up on my trusty friend ancestry.ca I was able to fill in the names to get from me to her. Eliza Jane arrived in Quebec on June 13, 1876 with her two young sons, Edward (8) and William (5). They traveled in steerage aboard the SS Polynesian, which departed from Liverpool on June 1st. Per the ships manifest, Eliza Jane, aged 30, was listed as “wife” and her destination was Galt. Seeing Galt on the manifest, and knowing that I grew up in the Galt area of Cambridge, Ontario made me realize this had to be her. No one else on the Polynesian were headed to Galt, but here were 3 of my family members making their way to the town that I loved growing up in. This proves that over 200 years ago, my ancestors were headed to this area of Waterloo Region. My 2x great grandfather did not sail with Eliza Jane and their two boys and I never found him with her on any of the censuses taken once she arrived in Canada. Is it possible she left him behind in Ireland? Was he here already but by some twist of fate died shortly after her arrival? No one living now can answer these questions and he wasn’t buried with her. By the 1891 census, Eliza Jane is 45 years old and widowed. She is living in Beverly which is part of Wentworth County, just a short distance from her original destination of Galt. She is living with her cousin Alexander Mitchell and her two boys. Alexander is a farmer, and her sons are listed as Farm Labourers and wage earners. 10 and 20 years later, her boys are living in houses nearby to Eliza Jane and cousin Alex. By 1911, another Hyde has moved in, Jessie, another female “cousin” who was born in 1904 and was 7 years old. It is unclear if she is a granddaughter of Eliza Jane, but judging by how many children her sons have had, it isn’t completely out of the realm of possibility! By the time of her passing in 1927, Eliza Jane was 82 years old and listed as a housewife. She had lived in the house at Concession 6, Lot 20 in Beverly for 50 years. Her death was reported by her son Edward. Her primary cause of death was Bronchitis, something I have suffered with many times in my life. A contributing factor to her illness was senility. I don’t know what happened over the years since her passing, but the land she lived on has been turned over to the Crown. It is now a tract maintained by the Ontario Ministry of Natural Resources known as the Hyde Forestry Tract. The foundation for the house she lived in with her cousin and some stone fences around their farm are all that remain of her home. There is something that pulls at your heartstrings when walking the lands of your ancestors. You feel connected to them in some inexplicable way, but you also feel the sadness when you realize the land was lost. What could have happened to cause the land to fall into the hands of the government? What happened to her husband Henry? Why didn’t she remarry? Why did she take her young boys and leave Ireland in the first place? Lots of questions, and no one to answer them. The only thing I can do now, is walk the Hyde Tract and wonder. From the Ontario Hunting Guide: This large property includes 142 hectares of conifer plantations that have been managed for almost 60 years. A glacial drumlin crosses the northeast corner of this area. Hyde Track has a large trail system giving an access and recreation opportunities to this property. You can find the ruins of a former homestead. The property is often used for recreation such as horseback riding, hiking and hunting. Area 142 ha (350 acre). Part lots 19, 20, 21, Concession VI, City of Hamilton (former Township of Flamborough). Access to the property is from Safari Road or Kirkwall Road, with a parking lot off Safari Road.